Party Time with Scott Topper welcomes new guests to Episode 5 on COX 17 TV! 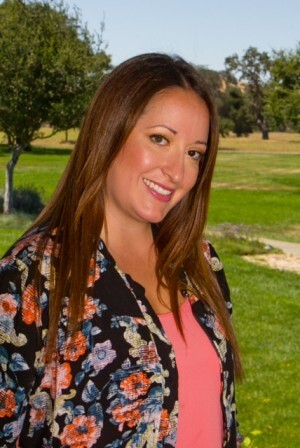 Laura Avalos-Cordero is the owner and a stylist at the lovely Mira Bella Salon and Spa located in the quaint Mesa neighborhood of beautiful Santa Barbara, California. After completing Santa Barbara Beauty College in 1992, Laura attended the prestigious Sassoon Academy completing an intensive three month course in precision cutting. With almost twenty years experience in cut, color, and styling she was previously an instructor for the renowned Schwarzkopf, an international hair care products company. As such, she traveled up and down the central coast of California, from San Luis Obispo to Camarillo, educating independent stylists on the Schwarzkopf method. She also holds two certifications from Bumble and Bumble in styling and cutting. After obtaining her license she practiced locally for several years before opening her ten-station salon and spa on Cliff Drive in Santa Barbara. As a full service salon they offer special event hair and makeup, design services, color, cutting, texture, extensions, keratin blow outs, massages,manicures, pedicures, facials, waxing, and facial peels. They happily serve men, women and children and donate services locally to non-profit organizations for fund raising events. 1.) How does Scott Topper’s hair look? 2.) Family dynamics/ best friends? 3. )Tell us how you got into becoming a hairstylist? 4.) Tell us about the salon team & services? 5.) Your education & experience teaching in salons? 6.) Where does your passion & inspiration come from? 7.) Talk about being local, the importance of community support for small businesses & how we give to support to non profit organizations & our local schools? 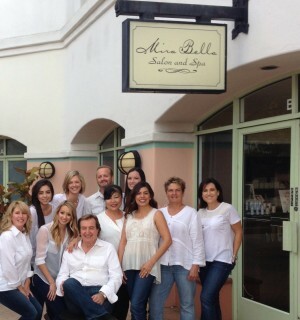 Mira Bella also sponsors an apprentice program for post beauty school graduates. This comprehensive and intense twelve to twenty-four month program has helped launch the careers of many talented and creative stylists. The salon and spa is open from 9 A.M. to 7 P.M. Tuesday through Friday and 9 A.M. to 5 P.M. on Saturday. Mira Bella is a proud member of the local Hispanic Chamber of Commerce. Laura Avalos-Cordero traces her roots back to the beautiful state of Durango in Mexico where family still resides today. Although both of her parents immigrated to America from Durango, they did so separately and actually met in Santa Barbara where they fell in love, married, and raised a beautiful family. Described as “her best friends” the family is comprised of five sisters (Laura is the youngest of the girls) and one younger brother; the baby of the family. This tight knit family spends a lot of time together. Laura attended San Marcos High School and Santa Barbara City College and, with so many sisters (with beautiful hair), she realized that becoming a hair stylist would be a great way to pay for tuition at a university. By the time she was ready to transfer, however, she was in love with her chosen career and set her sights on eventually opening her own salon. 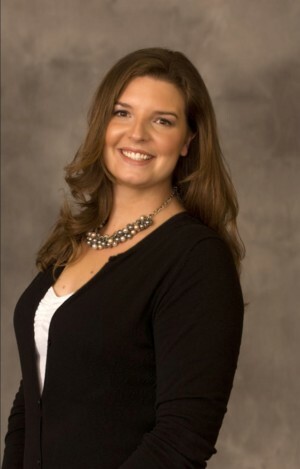 In addition to her family, her passions include travel and dance. She is well-traveled having visited Mexico, Thailand, Italy, France, Greece, Spain, New Zealand, Australia, and Fiji. 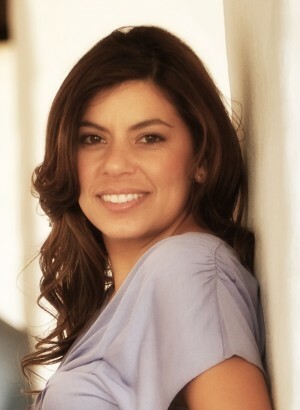 As a young lady she became fascinated with dance and quickly mastered Cumbia dancing as well asthe Merengue. Her favorite partner, her husband Joey, happily indulges her love of Salsa dance. Laura and Joey met through mutual friends and married in May 2009. They travelled a bit before starting a family in 2010 with the birth of their son, Adrian. In January 2012 they welcomed a beautiful daughter named Adelina. I started my career at UCSB in the Conference Services Department when I was attending college. I quickly learned that I really enjoyed working with events and catering, and was pretty good at it. After I graduated UCSB, I moved onto my current role as a Catering Manager at The Fess Parker Resort. It became obvious that I had “the gift” of working with wedding clients and brides, and I enjoyed those events the most. Along with my team, I have been handling the wedding clients and other social events at The Fess Parker for over ten years. Although the days are long, and the emotions and stress can be high at times, I do enjoy being a part of these special events and seeing the creativity that comes with each event. I enjoy working with The Fess Parker team, as well as the very talented and wonderful event professionals in Santa Barbara – we are a very luck bunch! I am very grateful for the opportunities to work, live and play in one of the most beautiful locations in the world. The Fess Parker Resort was a dream realized by the legendary actor Fess Parker. He saw the potential for a high end resort nestled along the American Riviera. The Fess Parker Resort provides 360 guestrooms and suites, a Spa, Salon and Tennis Courts and is just steps from the beach. From kids to pets, all are welcome at The Fess Parker Resort. The hotel also provides numerous wedding ceremony and reception sites, including the stunning Plaza del Sol and beach options. Our spacious ballrooms feature flexible options for events, conferences and meetings. The Ocean View Reagan Room & Terrace is a popular choice for an indoor/outdoor event or wedding. Our food and beverage team can provide services from personal room service to 900+ dinners. As part of the Hilton Worldwide Brand, the resort also accepts HHonors points and offers the support and network of the leading hospitality brand. 1. how long have you worked at the fess parker resort? 2. why have you worked there so long? -how could you not love working across from the beach! 4. how does that differ from a wedding coordinator? -Absolutely! weddings can be overwhelming both during the planning process, the days leading up to the wedding and of course on the day of. Having an experienced champion on your team to help you with the details and stress is worth every penny. 6. what should folks know about planning a wedding at a hotel or resort? 7. what are some misconceptions about hotel weddings? -that only boring ballroom options are what you have to choose from, or that your guests will be eating rubber chicken. This is totally not the case as our resort, as we have indoor venues with ocean views, beach ceremonies and the amazing Plaza del Sol which is entirely outside and gorgeous! 8. what’s your number one tip for folks planning events at The Fess Parker? -Understand and share your budget and goals early in the booking process so that your catering manager (or really any other vendor) can tailor their services to you and your event from the beginning – put some thought into the event before inquiring or getting a quote so that you can start off on the right foot. Born and raised on Coronado Island, USCB graduate and now SB local. Been in the events industry for over 10 years. Have been with Foley Family Wines just under 7 years. Properties that I manage include Firestone Vineyard, Crossroads Estate, Foley Estate Vineyard and Winery, Lincourt Vineyard and Eos Winery (pronounced Ee-oh-s). In my free time you will find me at the beach, gardening or crab fishing off the Santa Barbara Pier. What’s your favorite part about my job? Tell me about the properties that you manage? 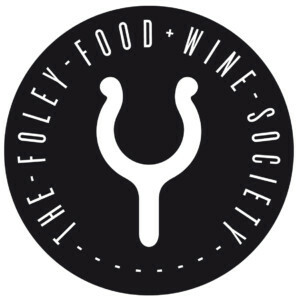 What is the Foley Food and Wine Society? What kind of events to you produce? For three decades we have worked hard at creating unique sites to gather and to enjoy the company of good friends and good wine. We place a premium on quality and we understand that your special event requires personal service and attention to detail. Whether you are planning a wedding, returning for an anniversary, or gathering friends and family, we recognize that each event is unique and may cover unfamiliar areas. Our events are managed by a team of experienced professionals who have widespread experience in catering, restaurants and special events. They have worked with many caterers and other vendors involved in events across Central California and bring many years of experience. For those planning weddings, you will find in them knowledge that is unmatched. Becoming a part of the Foley Food and Wine Society allows members to have exclusive access to a world class collection of wineries, lodging properties, golf courses, restaurants and luxury lifestyle partners. Once members are enrolled in the Society Loyalty Program, you will immediately be able to accumulate points for activities within the participating portfolio of wineries and luxury properties around the globe.